A Cape Cod nonprofit tried to turn lemons into lemonade after a norovirus outbreak threatened its annual festival in celebration and support of the local shellfish industry. Wellfleet is famous for its oysters and its OysterFest, held since 2001 and now run by a nonprofit called Wellfleet SPAT (Shellfish Promotion and Tasting, Inc.). OysterFest draws thousands of visitors to indulge in raw oysters and cheer for the region’s fastest shuckers. 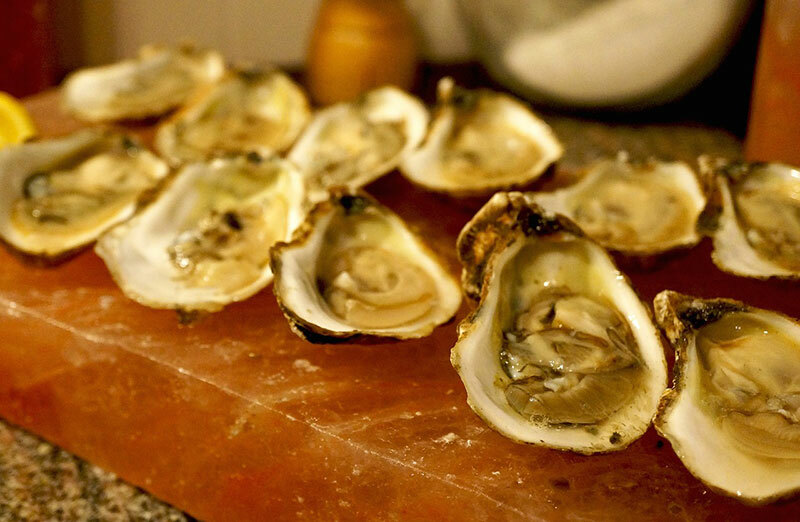 But this year, just days before the festival was set to kick off, the group announced that raw oysters would no longer be served, much to the community’s chagrin, according to a press release from Wellfleet SPAT. Due to a public health concern with shellfish in Wellfleet’s harbor—and in response to a closure issued by the Massachusetts Division of Marine Fisheries—SPAT has decided not to serve any raw shellfish at this year’s festival. According to the Boston Globe, the state of Massachusetts closed all shellfish beds in Wellfleet on October 13th because of an outbreak of suspected norovirus that’s believed to be linked to consumption of shellfish from that area. Public health officials had received reports of approximately 75 suspect cases of norovirus, primarily associated with eating raw shellfish at weddings and restaurants in the Outer Cape Cod area. The closure was a blow to both wild shellfishermen and those who grow oysters, mussels, and clams in protected boxes and bags on the bottom of the region’s bays and estuaries, according to the Cape Cod Times. Fall is the time oyster lovers in particular wait for all year, when oysters are putting on weight and reaching optimal market size. Plus, growers like to sell off their stock so they have room to plant new seed shellfish for the next year’s harvest. Oysters are often touted as an ocean-friendly seafood choice because they can be farmed with low environmental impact, in contrast to the controversy behind other “sustainable” branded fisheries that aren’t always what they seem. The same week as the Wellfleet public health advisory, the organizers of OysterFest encouraged guests to enjoy other local seafood—including fish tacos and steamed mussels—and remarketed the event as a chance to stand in solidarity with the Cape Cod shellfishing community. The Shuck Off contest was held using oysters from other towns.